Only minutes from the Las Vegas Motor Speedway and Nellis Air Force Base, Cannery is centrally located to the fun and rooms are only steps away from casino excitement. Table games offer minimum bets from $3 all the way up to a maximum $1,000. 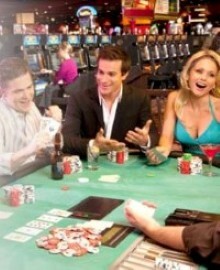 Games include single-deck, double-deck and six-deck Blackjack tables. In addition, we offer No Commission Pai Gow Progressive Poker. Our Craps tables offer 10X odds along with the newest Craps feature called the Fire Bet where the lucky players can win $5,000 jackpots.